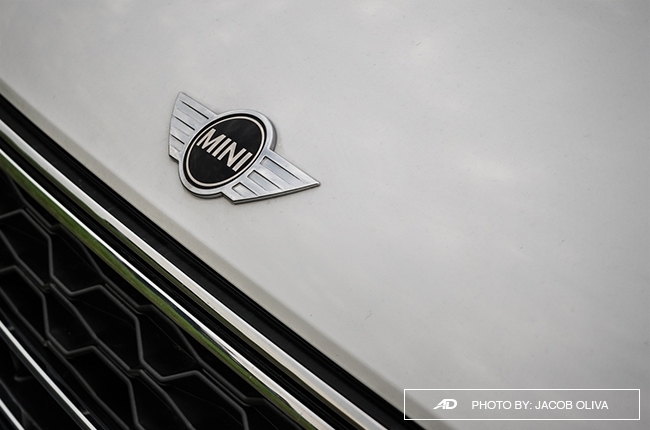 We get first dibs on the 1st diesel-powered MINI in the country. 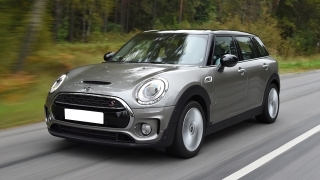 When you hear the words ‘MINI Cooper,’ it's more likely that you'll think of a hatchback that’s relatively small, with rounded body and contrasting roof colors. 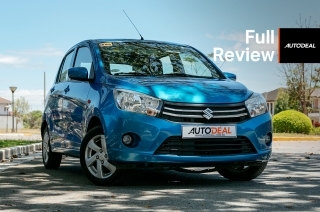 With its size and youthful styling, some may say that these cars aren’t fit as an option if you’re looking to buy one for your family. 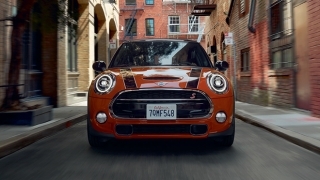 However, what if there's a MINI Cooper model that’s comparable to the size of a Honda HR-V? 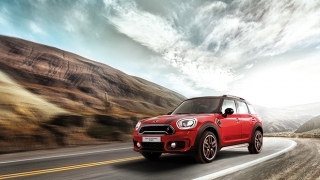 Meet the all-new MINI Cooper Countryman compact crossover. 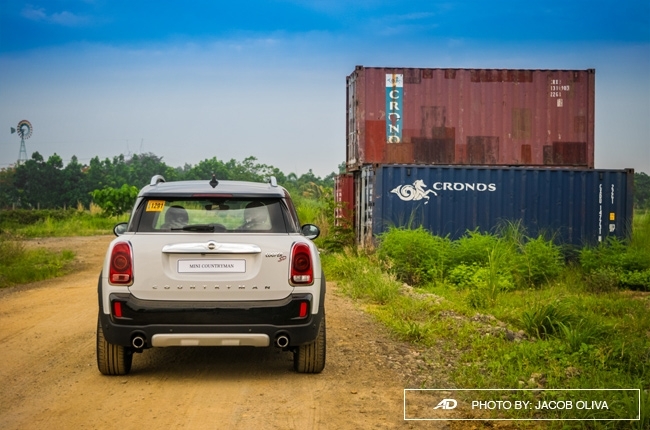 It’s the British marque’s biggest model and MINI Philippines’ first and only diesel-powered MINI Cooper. 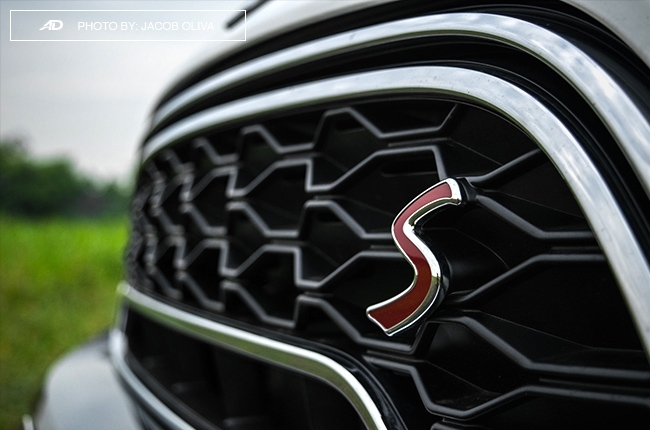 We were able to get our hands on its 1st generation non-diesel model last year, so imagine our elation when we were given first dibs on its all-new, more powerful SD variant. Spacious with plenty of leg room. 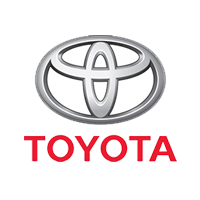 Diesel engine provides notable fuel economy. High-grade materials used inside the cabin. 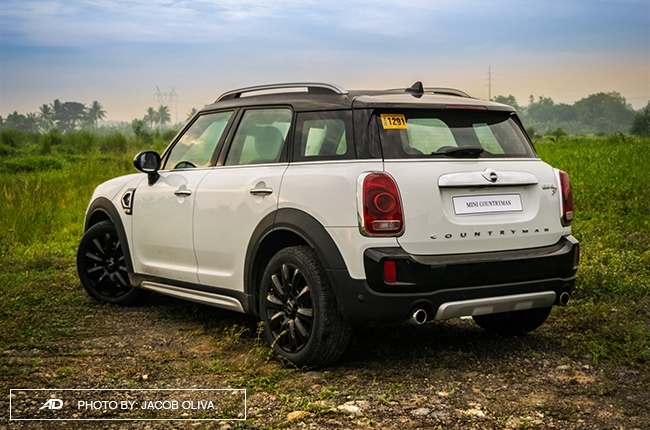 The Countryman is a reminiscent of the other MINIs, but it’s bigger and has a slight design deviation. 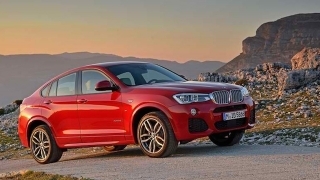 For instance, its LED headlamps aren’t round – they’re still curvy but it has a different shape. The mesh grille with chrome lining isn’t the same as well, veering away from the rounded hexagonal shape of the rest of MINI’s lineup. 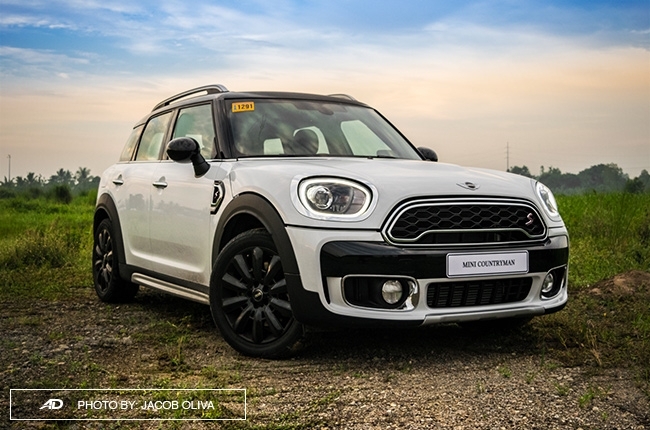 Together with the variant-exclusive dual exhaust pipes at the back and the splash of black paint on the front bumper, these traits give its fascia a distinct character; it’s like the kuya among the siblings – authoritative, firm, and gritty. 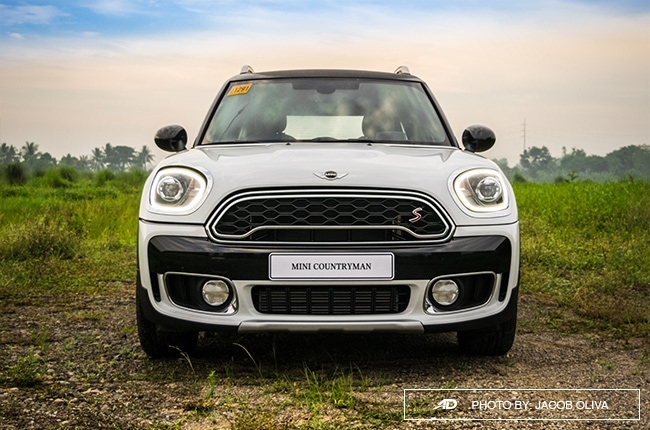 To give you an idea of the Countryman’s size, it’s a bit bigger than the Honda HR-V – 5mm longer, 50mm wider, and has a 60mm longer wheelbase to be exact. The Japanese crossover is just taller by 50mm. 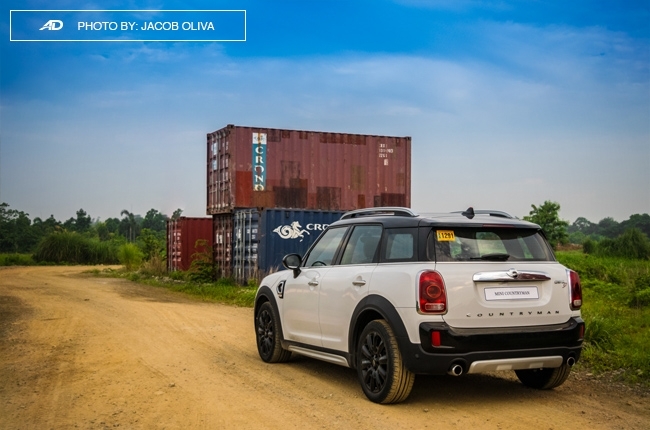 Even with its size and addition of accessories such as roof rails, side skirts, and bumper diffusers (front and rear), the Countryman isn’t a crossover that can totally go off-road. 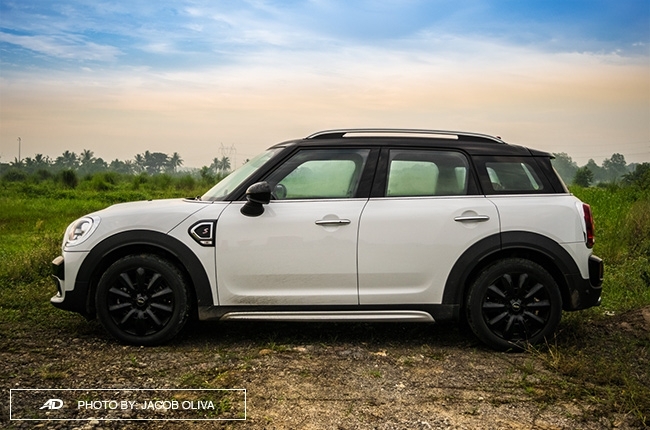 The local-spec SD variant isn’t ALL4 (all-wheel drive) and has a 165mm ground clearance – 20 mm (around 0.8 inches) lower than the HR-V.
Just like other MINIs, you’ll immediately know their favorite shape inside the Countryman’s cabin. 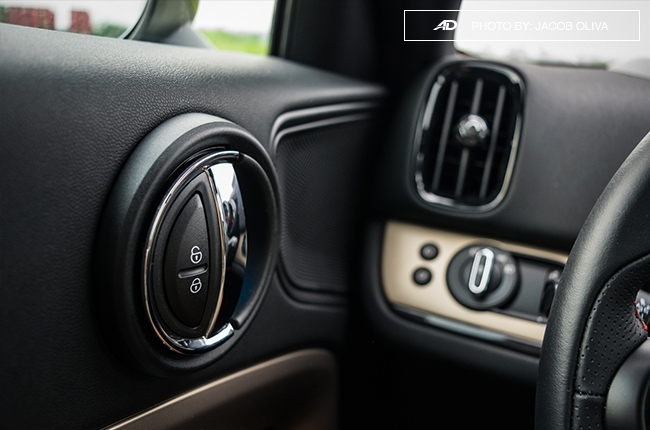 The circular parts of the black themed interior radiate a youthful vibe. The orange lit indicators and changeable mood light colors will make you feel that the car is fun-to-drive even before hitting the road. 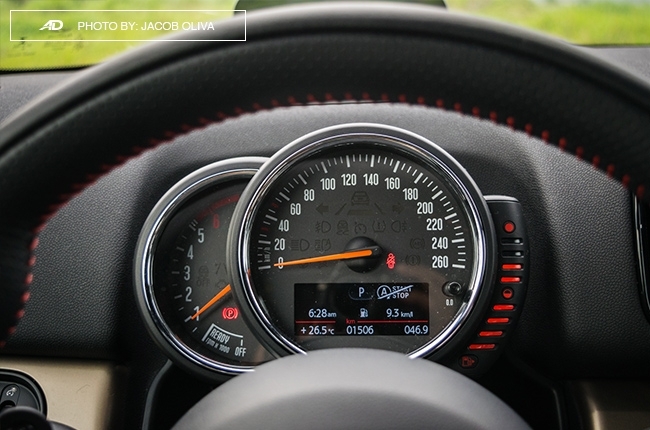 Best of all, kudos to MINI for bringing the speedometer in the driver’s line of sight, which was located at the center dashboard of the previous generation Countryman. 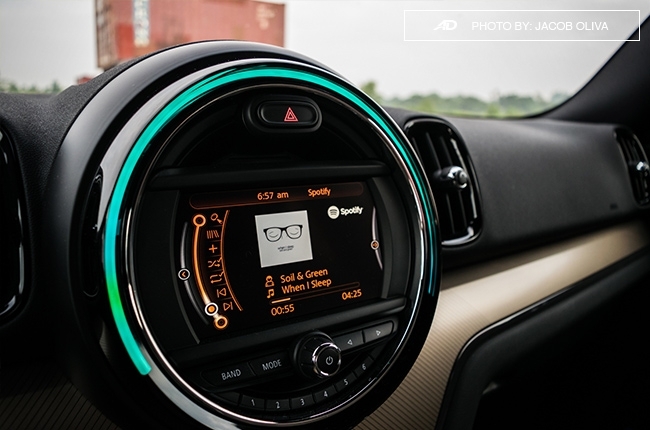 Located at the center of the dashboard is the 6.5-inch Radio MINI Visual Boost, which displays vehicle information and settings, as well as hands-free call and multimedia functions. 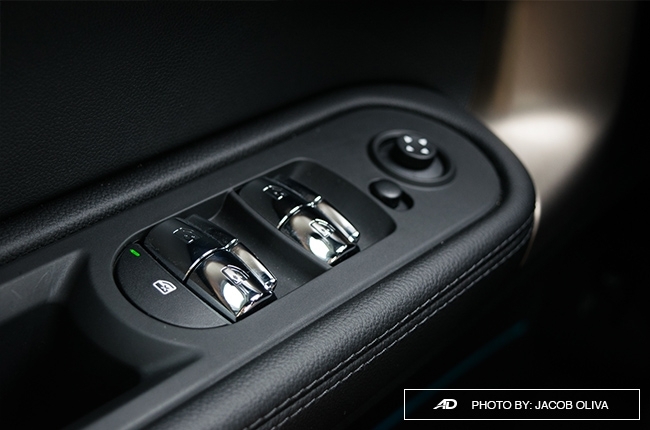 It can be easily paired with your smartphones and controlled via a dial near the gear shifter. The seats can be adjusted manually, which is a surprise considering the car’s price. Good thing it’s easy to find a suitable driving position – thanks to its telescopic steering wheel and adjustable lumbar support. Visibility is generous as well. 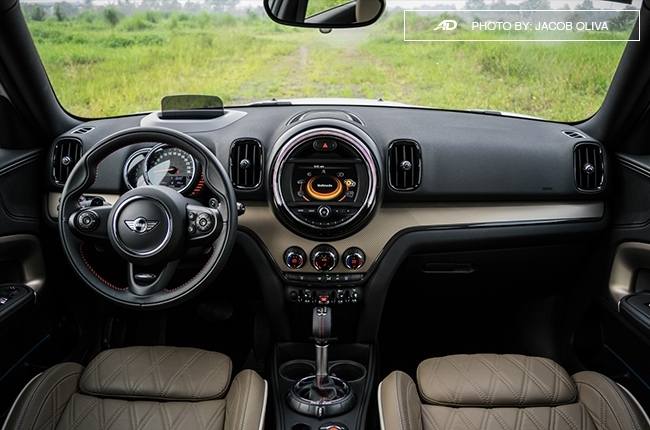 We specifically like the fact that MINI slightly raised the side mirrors; unlike in the previous Countryman model where the view was slightly blocked by the door. Since MINI made the 2nd generation Countryman bigger than the previous model, we were expecting a roomier cabin and they didn’t disappoint. The leg-, head-, and elbow-rooms are more than sufficient at the back and can fit up to 3 people with heights 5’8” and above. The rear seats can even be slid forward and back to your liking. 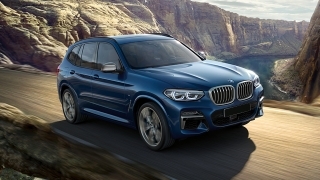 The trunk is also deep, having a maximum capacity of 1,390 liters (rear seats fully folded), which can fit a child stroller, with room for more. 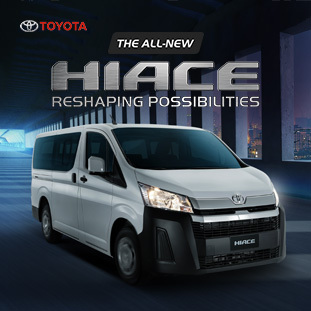 With its power liftgate and flat, no lip rear bed, loading cargo is easy as 1-2-3. 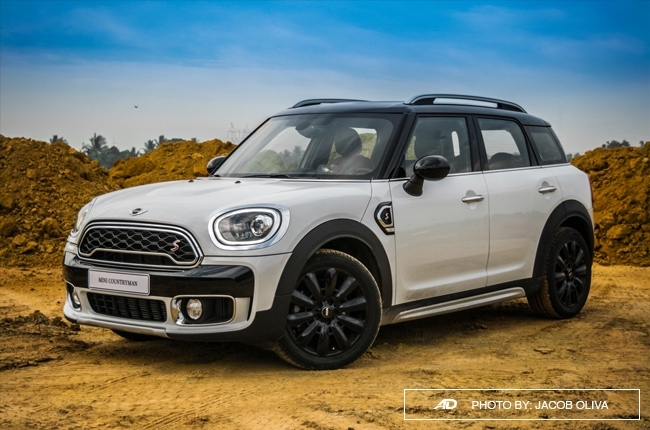 Under the Countryman’s hood is a pumped-up 2.0L twinpower turbo diesel mill. 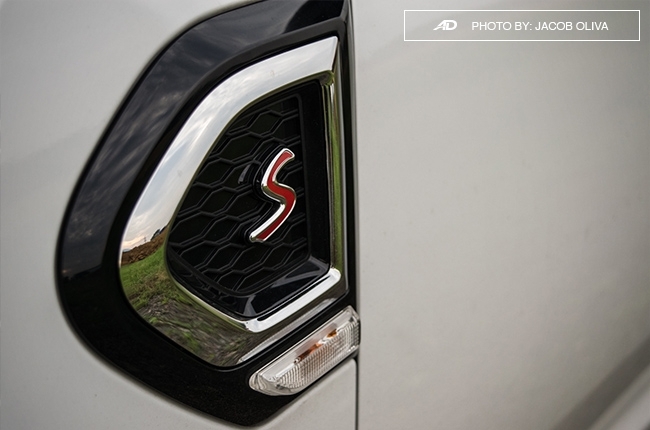 It's rated with 190 hp on paper, which is 40-hp more than the non-SD Countryman variant. On the default Normal mode, the engine responds to every step on the organ accelerator pedal, making you feel the pull of its 400 Nm of torque. 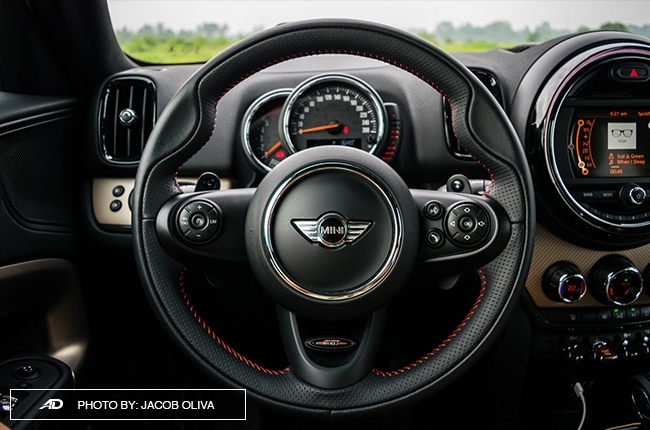 When the throttle opens by the time the turbo kicks in at around 3,000 rpm, the Countryman gives you a fun, fast drive. 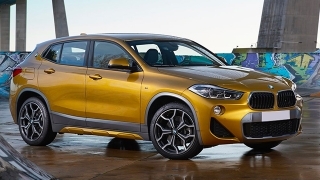 The 8-speed sport automatic transmission shifts smoothly and accurately, giving just the right gear ratio as needed. 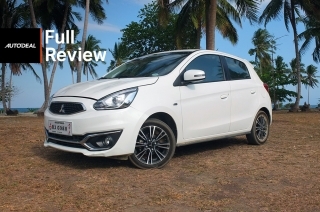 Switching to Sport mode, on the other hand, the transmission shifts at higher, more performance-oriented RPM, which is perfect for highway drives as it gives us confidence in overtaking. 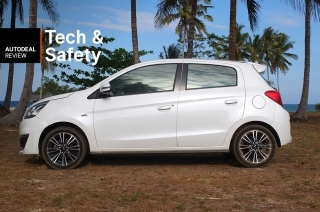 Body roll is present when cornering, but it’s minimal and the seats can support the natural sideways movement of the passengers. The ride was also slightly bumpy, which tells us that the suspension is a little rigid – something that MINI can improve on. 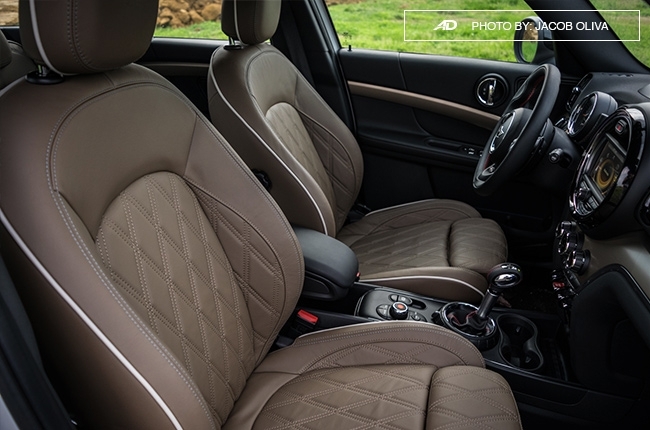 Despite that, the Countryman has a pleasant ride comfort thanks to its spacious cabin and good sound deadening. 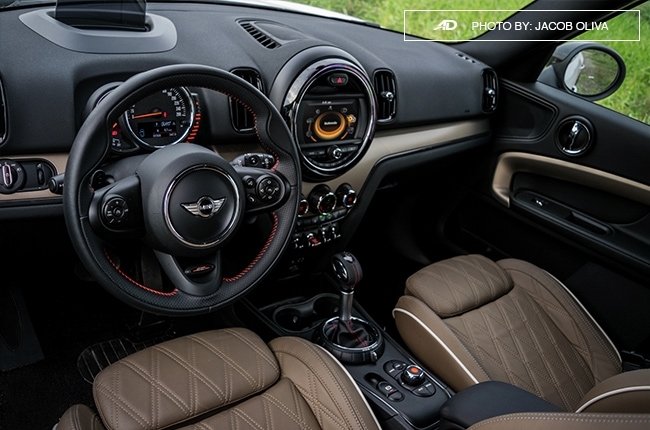 With all the driving characteristics mentioned, the Countryman merits flying colors in terms of fuel economy. It yielded 15.4 km/l while running at an average speed of 95 km/h on the highway. 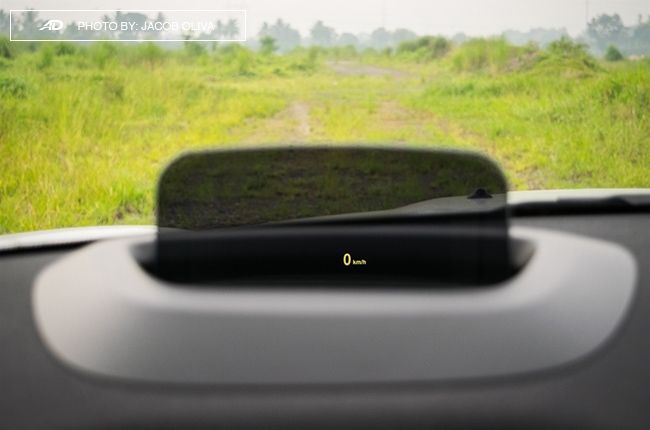 In heavy city traffic at 15 km/h, the Countryman registered 9.3 km/l. 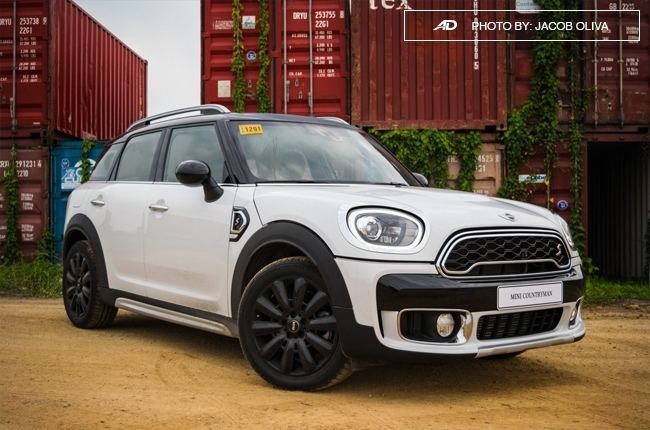 The MINI Cooper Countryman SD has a price tag of P3,400,000. With this price, you get a British classic that's currently BMW-engineered and a diesel-powered car that doesn’t sound like a diesel. Its size is perfect for those who wants to own a MINI but need to have space for the kids and their toys or anything they want to bring. But still, one question remains: how do you call these cars if you have 5 of them in your garage? 5 Countrymans or 5 Countrymen?